TRP Guides: How to Know if Your Phone is Tapped, Tracked or Monitored? You may have heard that even presidents of certain countries have had their phones tapped. Out of all the people in the world, you would think that their phones would be one of the safest on the face of the planet, right? If a president can have their phones tapped, I guess there isn’t much hope for the rest of us. Almost any phone in the world may be tapped, tracked or monitored. But how will you come to know if your phone is being tapped, tracked or monitored? Unfortunately, there isn’t any quick and straightforward way to know if your phone is tapped, tracked or monitored. However, at least you can learn the signs that your phone is giving that your phone has been tapped. There are a series of signs to look out for, and just because you’re experiencing one of them, it doesn’t mean your phone is being monitored. Also Read: How to Fix DNS Server Unavailable Error on Windows, Mac, and iPhone? But, if the following signs are happening way too often and you’re sure that it’s not an isolated incident, then it’s time to take action. Let’s take a look at what these signs are before you start drawing any conclusions. Most phone users usually charge their phones about once a day. But, if you’re noticing that you’re charging your phone a lot more then that could indicate that someone is spying on your phone. Since spy apps need to gather and send the information that they gather, this drains your phone’s battery even more. The apps that consume the most power are the cheaper and poorly coded apps. The more sophisticated and modern apps are made not to drain your battery so that you won’t notice any changes. In that case, it’s important that you pay attention to the other spy signs your phone may be experiencing. The more sophisticated and modern apps are made not to drain your battery so that you won’t notice any changes. In that case, it’s important that you pay attention to the other spy signs your phone may be experiencing. Thus, you may come to a conclusion that your phone is being tapped, tracked or monitored. 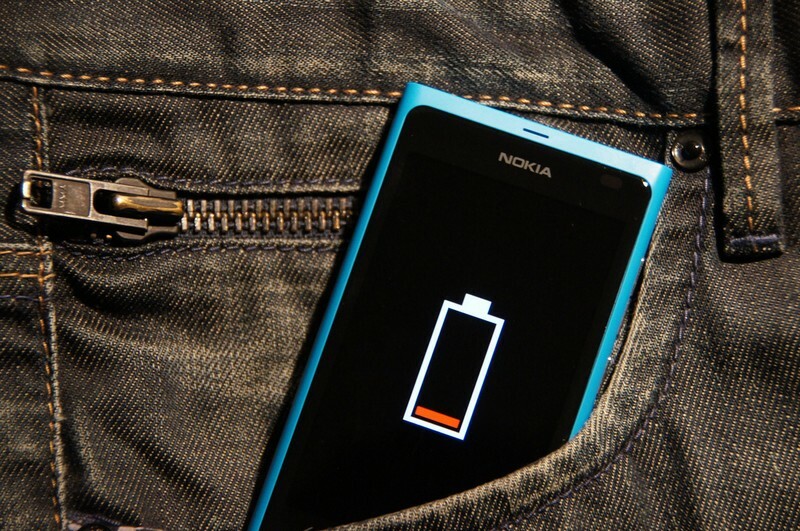 Try to turn off features that drain your phone’s battery to a minimum. Even better, if you can not use them at all so you can know for sure if battery drain is a sign you can add to your list of signs that someone is spying on you. Whoever is spying on your phone will need to receive data sooner or later. That means that the spy app is going to use your phone’s data to send that information. If you’ve noticed that your phone is using a lot more data than before, that could indicate that you’re being spied on. If you’re not sure of the increase, compare your phone bill from the last couple of months. Is there an increase that you can’t explain? This could mean that you have a spy app on your phone. To monitor your data usage, you can always install any app that can help you keep track of how much data your phone uses. You can use apps such as My Data Manager or Data Usage. The first app is for Android and the second is for iOS. There are spy apps that will use cellular data even if you strictly use WiFi. So, you can test things out by only using WiFi for a couple of days, and if your data usage apps still show you that cellular data was still used, then you know that someone is wrong here. Just because you hear some background noises, that doesn’t mean you’re being spied on or that you’re going crazy. Bad connections can also do the same thing. But, if this is one of many signs you’re experiencing, you know what that means. What kind of noises should you look out for? Keep and eye out (or should I say ear) for sounds such as clicking, static, voices, and beeping. These are the sounds spy apps usually make when they are listening in on your conversations. Try to keep a journal of how many times during a call you hear these sounds. If you see that they are a lot more than from when things were good, well, you fill in the rest. If someone ever installs a spy app on your phone, hopefully, it’s one of the bad ones since they’re easier to spot. Some of these poorly coded apps turn on the record light or flash when it’s accessing the camera. The lights may also come on if the spy app is also accessing the microphone. Other usual behavior can also include your phone restarting for no reason, lights coming on when idle, or it is always crashing. Your phone could also make calls or send messages on their own. If you make a lot of calls, these can be difficult to watch out for but at least try. More unusual behavior can include you getting text messages that don’t make any sense. They will look like random symbols and numbers. If you’re getting these kinds of text messages, don’t ignore them. Those are text messages that are supposed to be sent only to the person who is spying on you. You getting them is a total mistake, and it’s usually the poorly coded apps that do this. The reason the texts don’t make any sense to you is that they are coded. 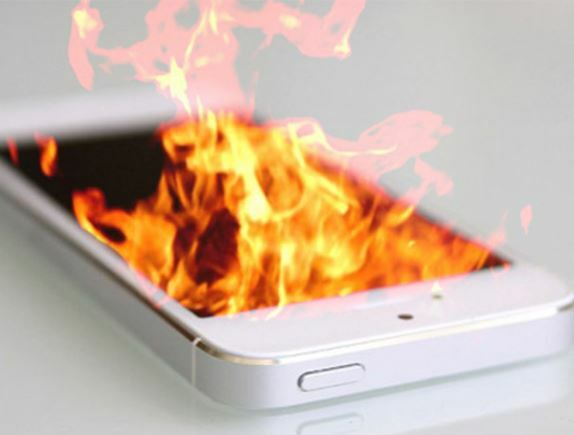 Certain phones already get hot because of all the features that are turned on. They could also get hot when you’re playing games that require a lot of resources from your phone. If your phone still gets hot when it’s just sitting on your coffee table, then there’s something wrong. Most of us already complain about how slow our phones can be, but it’s usually our fault it acts that way. You may be asking your phone for too much when it’s specs just can’t deliver what you’re asking for. You obviously can’t expect a phone with 1GB of RAM to give you flawless gameplay when playing a game that that requires you to have at least 3Gb of RAM. But, if your phone runs just the way you want it to but for some reason is slow, see if you can find any apps you’re sure you didn’t install. You can also uninstall apps that you installed right before the slowness began. Sometimes, it’s the user that accidentally installs that spy app thinking it’s the original app. You could have installed a fraudulent version of WhatsApp or YouTube. Get rid of these and install them from trustworthy places such as Google Play. Since these spy apps regularly transmit your data, that explains why your phone is suddenly so slow. If you have a spy app on your phone, these could change the sites you frequently visit, to look different. They try to make the sites look as real as possible, but if you look carefully, you will definitely see that some things just don’t fit. This can be dangerous if the site you’re visiting requires you to enter sensitive information such as pins and passwords. Also Read: How to Fix Could Not Load Shockwave Flash In Chrome? Like I mentioned before, just because you experienced one or two of these signs every once in a while doesn’t mean someone is spying on you. Some of those signs could be the result of something else such as a bad connection or some problem. If you notice that they occur too often or at an alarming level then you could try thing such as a factory reset that will wipe your phone clean. If you decide to do this don’t forget to backup files such as pictures and videos you want to keep. A factory reset will give you the phone you had when you first took it out of the box. Be very careful the places you download things from since if it happened once, it could very well happen again. How many of these signs are you experiencing? How to Stream Kodi to Chromecast from PC or Android?